Deputy Minister in the Presidency for Performance Monitoring and Evaluation, Obed Bapela, has officially introduced the newly appointed members of the National Youth Development Agency (NYDA) Board. The seven new members, who will serve in the agency for the next three years, were appointed by President Jacob Zuma in terms of section 9 (2) of the National Youth Development Agency Act, 2008 (Act No. 54 2008). They officially started their tenure on 1 April 2013. Ayanda Bambiso has held some high profile positions in her career – as Head of Protocol at the Nelson Mandela Bay Stadium during the FIFA 2010 World Cup, she was responsible for the planning and successful execution of airport and stadium operations for Heads of State, FIFA, SAFA and other foreign and local dignitaries. Her stint as Public Relations and Entertainment Manager at the Boardwalk Casino and Entertainment World saw her bring in millions of Rands worth of PR exposure. 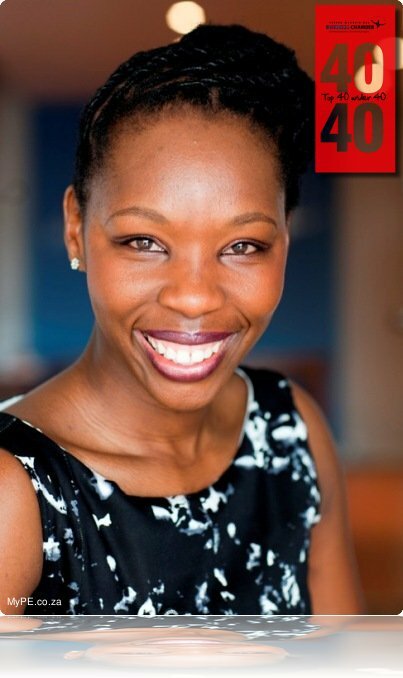 Ayanda Bambiso is currently the Marketing Manager of Umhlobo Wenene FM. Introducing the new members after their first meeting on Thursday, Bapela said he hoped the “dynamic, new leadership” would use their talents, potential and knowledge to help government shape the image of the institution, so that it becomes an inspiration to young people. Bapela noted that 54% of the population was under the age of 35. This group, he said, had needs and pressing challenges such as high unemployment, with most of them not actively involved in the economy. “We hope that this young leadership will be able to inspire a sense of hope in the whole situation. We also spoke to them [during the meeting] about ensuring a clean administration, that the audit queries are minimised so that they can be in a position to give confidence not only to the young people, but to the entire society of all South Africans,” Bapela said. One of the immediate tasks the board will have to look is the Integrated Development Strategy. They will look at the current draft and advise the minister, who will then take it to Cabinet for consideration and thereafter introduce it to the nation. The strategy has to include the National Development Plan (NDP). The board will also look at the status of the youth report that has to go to Parliament. Bapela also emphasised that all government departments were expected to prioritise the youth agenda. He said the signing of the Youth Employment Accord was one of the measures that would help in building a response to the dire needs facing young people. New NYDA Chairperson, Yershen Pillay, said they were honoured and proud of their appointment. He was confident they would be able to take the agency forward and address many challenges facing young people today. He said their immediate focus would be on pertinent issues including health, social cohesion and youth service. “We hope to go to a strategic planning session to identify what the new vision, goals and objectives for NYDA [should be] as a collective. “We hope that we will formulate the requisite strategies and support mechanisms for an enabling environment required for addressing issues, such as employment creation, for sustainable lives of young people. “We understand the enormity of the task and hope to restore the credibility to the organisation, gain the public confidence that is in need and through that, create many opportunities for as many young people in the space of three years,” said Pillay. He further assured that they would be a united board, able to meet the interests and aspirations of young people. Board member Nyalleng Potloane (31), from the Free State, represents youth living with disabilities. She said she needed to “shine the visibility of the disabled to show that they can teach them to catch fish instead of catching fish for them”. “I’m looking for social cohesion, how disabled people can love their country by having zero poverty, zero inequality and zero disempowerment and development for all of us. “I need to represent them in NYDA programmes and make sure they are included, and teach people how we can develop together and make disabled people more visible,” said an optimistic Potloane.